Morning routine versus an evening routine… which one is more important? 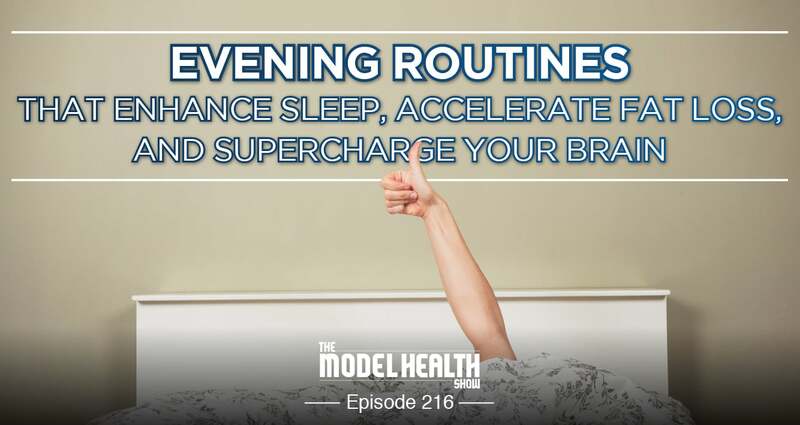 Experts all over the world have been touting the benefits of having a strong morning routine if you want to be successful. The early bird get the worm, right?! So, whether you’re into eating worms or not (I did see a kid do it when I was in elementary school) I think you’ll discover today that success isn’t about what you do in the morning, it’s really about what you do the night before. Some of the things you’ll learn today will stick with you for a lifetime. I’m sure of it. And the best news is that taking advantage of these benefits does not require you to makeover your entire life (let me hear all of my night owls let out a collective, “Whooo Whooo!”). It’s simply the small things that you can add in or adjust that can generate some big changes. So, click play, enjoy, and take advantage of the tips that speak to you! The dangers and benefits of taking a melatonin supplement. Why sleep is like a crap-shoot for many people every night. What the science says about evening routines and children’s sleep. What happens in our brains when we do something consistently. What the 4 stages of learning are. How processes become automated in our brains and bodies. The part of the brain responsible for habit formation. How to create a habit loop. The part of creating a “positive habit” that many people leave out. What it means to have social jet lag. Why it’s critical to understand our biological rhythms. How staying up later on the weekends can affect your body weight. How melatonin and cortisol compete to shape your body. What short-term sleep deprivation can do to your testosterone. How daylight savings time influences heart attacks (this is nuts!). What an optimal evening routine looks like. The problems that tech devices create with our sleep (and how to overcome them). How to use specific bodywork to wind down and improve sleep quality. Which mineral helps to optimize sleep cycles and naturally boost melatonin. EASE Magnesium ⇐ Get an exclusive 15% off here! Sleep Smarter <== Get the bestselling book right here! Check out Shawn on Instagram! Episode 204: The Model Health Show Live from D.C.
I’m so glad you got to visit my motherland, the Philippines. It is a beautiful place, but you cannot leave unaffected by poverty there. Also, great stuff on the evening routines. I’m going to try breaking the Netflix right before bed routine I’m currently on. Hey Shawn, relatively new listener here. Funny this episode came to be because I’m on the verge of having to transition into a night shift job that will probably last 2 years. I’m having to do this is order to finish my undergrad. So not only will I be working nights and trying to sleep during the day, I’ll be taking classes here and there during that sleep time too. I’m wandering if you had any tips for healthiest way to go about this, something that is inherently not good for your body and mind. I’m considering trying some polyphasic sleep cycles. I have 2 kids as well, so sleep will likely be broken up during the day anyway. Any tips? Thanks. I would like more data about the magnesium spray. Why do you endorse lt? I have a question about natural light which you say is no issue yet I find it a lot harder to get good quality sleep during full moon periods, I tend to sleep with no curtains etc as the nearest external lights from me are a couple of miles away. So should I just prepare for fuller moon nights by getting curtains or just accept I’m going to wake up at least once and accept it’s ok much like the dual sleep patterns of before electrical lighting? Melatonin abuse? You mention that research shows that it can downregulate your receptor sites for melatonin by taking supplemental melatonin on a consistent basis. Can you send me a link to this research? I need to forward it to a friend who’s been taking melatonin for 10 years. Now she can’t sleep past 3:00 and she wonders why. duh. Hi Shawn! Found out about you recently via ET’s podcast, and the timing couldn’t’ve been better. I was just about to start researching nutrition and what I should eat seriously, as well as finally(2019, 27yo, about time >.>) imposing some structure into my daily life, so I took this episode out of order to boost my fledgling morning routine, and further impress it into my brain with a supplementary evening routine, so thanks a bunch for all that information. I have a question though: can sublingual intake of magnesium go over bowel tolerance? In general, is it about the build-up in your system or the route through which Mg is going, oral->digestive tract->blood vs sublingual->straight to blood, is too much Mg will lead to pants disaster anyway? Is that why you apply it to skin, for a quicker delivery of the mineral to every cell? Hey! This is Shawn’s nutritional assistant, Craig. You’re right! The route in which it is delivered is key. While choosing foods first highest in magnesium like leafy greens and cacao are great sources of magnesium, supplementing with the right form, the right way, can also help with low magnesium levels. I would play around with sublingual and see if you notice any positive or negative results. I can’t see that causing disaster pants and I’m unsure of any science that refers to if that’s true. But topical magnesium we’ve found is a great way to absorb magnesium and not overdoing it. Your skin will only absorb as much as you need so you can’t take in too much. Not to mention it’s a great delivery method as well!